We're on a mission to build the world's most accessible store. At Robomart, we know true shopping convenience is more than just saving effort - it's about availability, ease of use, affordability, and speed, which is why we've built the world's most accessible store. Simply open the app, order the closest robomart, and shop checkout-free when it arrives. Shopping has never been easier or faster. We waste an incredible amount of time going to the store to shop for groceries and other products and although online delivery promised to be faster and more convenient, e-commerce accounted for less than 5% of all groceries sold worldwide in 2017. 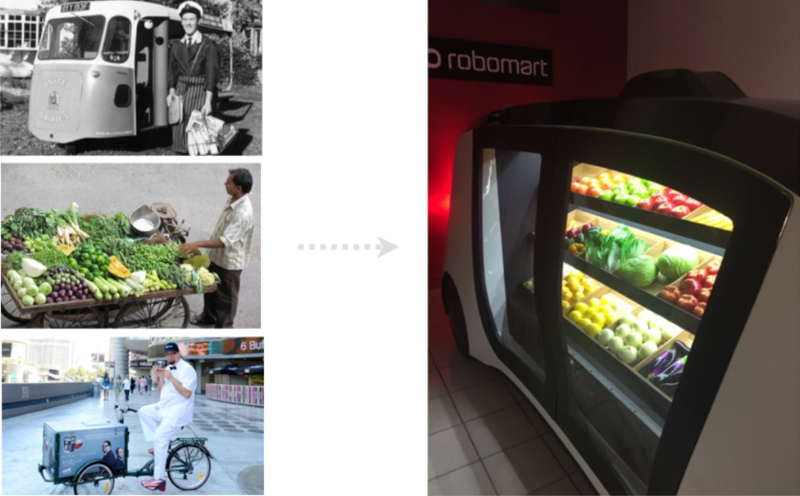 For decades, consumers had the convenience of their local greengrocer and milkman coming door to door - by leveraging driverless technology we can recreate that level of convenience and accessibility. 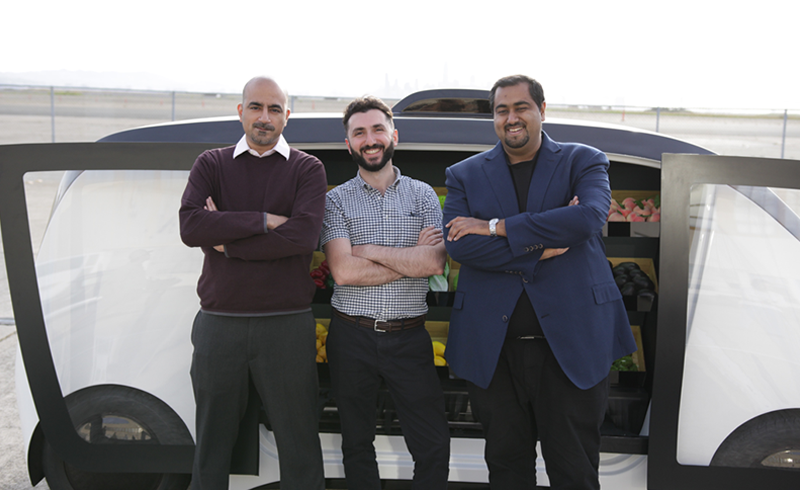 Robomart was founded in 2017 by serial entrepreneurs Ali Ahmed, Tigran Shahverdyan and Emad Rahim and is led by a team with deep domain expertise in autonomous vehicles, on-demand delivery, and retail operations. Robomart's founders at the company's test facility in Alameda.